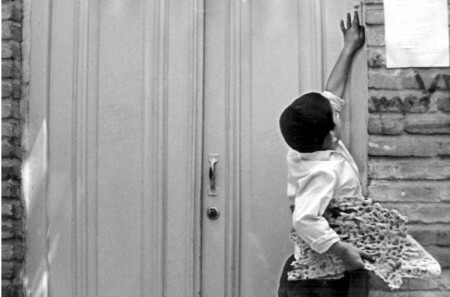 A little boy makes his way home clutching a loaf of bread. In an alley, a stray dog blocks his path. Perplexed, the boy tries to follow an old man who unfortunately takes a different direction. The child then tries to pacify the dog by throwing him a piece of bread.